B&B Enterprises offers a full line of radio consoles, book boxes, file boxes and various brackets for microphones, lighting, laptops, scanners and cameras. In other words, if you need a secure place to store an item or you need to add equipment to an already loaded vehicle B&B has what your looking for. Many departments have varying needs and carry varying equipment so finding and off the shelf item that fits your needs can be time consuming, B&B Enterprises has designed many unique radio consoles for many departments throughout the Southwest chances are we have a design that will work for you and if we don’t – We can make it happen! 015-3025-14 Universal Flat Console - 7'' of slanted faceplate area and 7'' of flat faceplate area for a total of 14''. Overall dimensions 17 3/8'' x 11 3/8''tall x 9'' wide. 015-3025-18 Universal Flat Console - 7'' of slanted faceplate area and 11'' of flat faceplate area for a total of 18''. Overall dimensions 23 7/8'' x 11 3/8''tall x 9'' wide. 015-3025-18S Universal Flat Console - 7'' of slanted faceplate area and 11'' of flat faceplate area for a total of 18''. Overall dimensions 23 7/8'' x 8 3/8''tall x 9'' wide. Low Profile Design. 015-3023-18SUniversal Angled Console with 7'' of slanted faceplate area and 11'' of flat faceplate area for a total of 18'' of faceplate. Overall dimensions 23 7/8'' long x 8 3/8'' high x 9'' wide, low profile design. 225-3027 Radio Console for Police Interceptor (Utility and sedan compatible) Slanted Radio Console is 19'' long x 8 5/8'' wide x 7 1/2'' tall at the front, 18'' of useable radio space, uses existing floor plate. 015-3019Addition of a Locking lid over map pocket space on existing console. 015-3059 Tahoe Console - 18'' of faceplate (7'' slanted and 11'' flat) 11 1/4'' front height and 8'' rear height and 13'' wide. Includes 4 1/4'' x 11'' bppk/map pocket, speaker cutouts, power adapter cutouts and inverter cutout. Overall console length 21 1/4'', overall lenght including under dash 32 1/2''. 015-3026 10'' console Slanted 10'' faceplate area , overall dimensions 10'' tall by 7 1/2'' long. 015-3026-88'' console Slanted 8'' faceplate area , overall dimensions 13'' L x 7 1/4'' T. 9'' x 6'' Flat top surface included. 015-3040 Radio Console for a Toyota PreRunner Truck, 15'' of radio faceplate (15'' L) x 9'' W x 10'' Tall. 015-3040-10Radio Console for a Toyota PreRunner Truck, 10'' of radio faceplate (10'' L x 9'' W x 10'' Tall. 015-3012-L39 Custom fire style console for a full size F250-550 and Expedition. 39" L x 13 1/4"W x 12" H with 20" of forward L/H side face plates for equipment mounting, 15" x 4.25" map box on RH side and 10" x 13 1/4" computer mount plus 13" of extra face plates to the rear of the console. 015-3012-M34Custom built fire style radio console for a full size Ford F250-550 and an Expedition. Overall 34'' L x 13'' W x 12'' H with 15'' of faceplate on driver's side and a 4 1/2'' x 9 1/2'' pocket on passenger side with two cup holders, and a 8''x 13'' computer mount surface at the front. 015-3036Universal Truck Console 17'' L x 13'' W x 11'' tall, 17'' of faceplate on driver's side, map/book pocket on passenger side, NO computer mount NO wiring access or speaker cutouts. 015-3059-TK25Truck Console - 25'' of faceplate (7'' slanted and 18'' flat) 11 1/4'' front height and 8'' rear height and 13'' wide. Includes 4 1/4'' x 11'' bppk/map pocket, speaker cutouts, power adapter cutouts and inverter cutout. 225-3006 Custom Console for SRP - 23" x 11 1/2" x 12" with locking lid and storage compartment. 330-3108 Custom Ambulance Console, with custom faceplate. 121-1906Ford Expedition Console Floor plate, with leg kit included. 121-1907Console Floor plate fits F250 and F350 trucks. 121-3566Console Floor plate for a Chevy 1500 truck. 121-3567Console floor plate for a F150. 121-3568Dodge Ram Console Floor plate - 28'' long includes leg kit. 710-5906 Lower 5 style mounting pole. 710-5901 Upper mounting pole with plate, 8'' tall Pole includes 7'' plate with 3'' of travel. 710-5901-9Upper mounting pole with plate, 8'' tall Pole includes 9'' plate with 5'' of travel. 121-3505 Padded Armrest Overall dimensions 8 5/8'' tall Armrest is 10'' long x 4'' wide. 121-3505-FFree Standing Arm Rest Bracket - Used to bolt arm rest to floor plate instead of console. 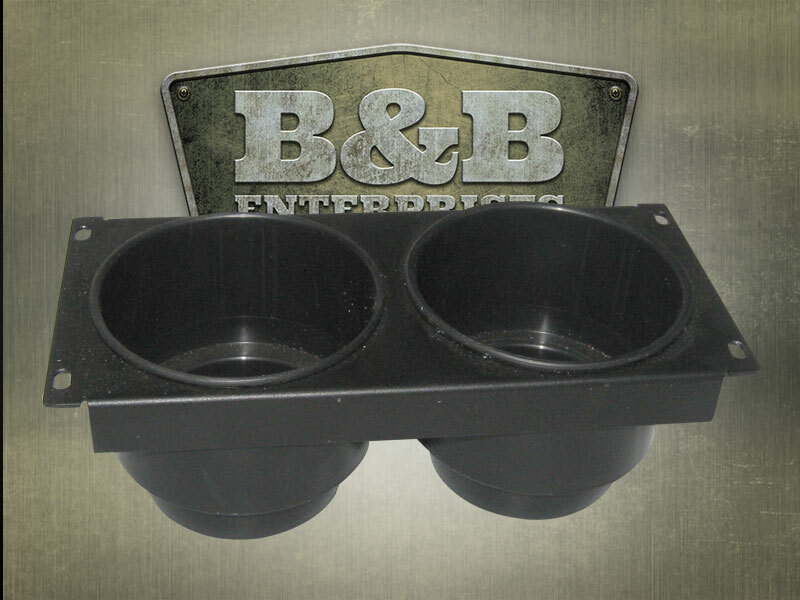 121-3510 Dual Cupholder to fit inside console - Faceplate style includes plastic inserts. 225-3013Console Extension Box - 15 1/4'' long x 13'' wide x 12'' tall, includes 1 clipboard compartment and 1 large storage compartment. 225-3013-10 Console Extension box - 10'' long x 8 3/4'' wide x 10'' tall includes faceplate rails for extra radio space. 225-3013-SMALLConsole Extension Box - 13'' long x 6'' wide x 8'' tall, 1 large storage compartment, bolts to rear of Console. 121-3513-1.58 1/2'' x 4'' drop in console tray - 1 1/2 '' in depth. 121-3514 Faceplate - 3-hole 12 Volt power faceplate 8 5/8'' x 2'', Includes 3 12V Adapters and caps. 425-6059 Rocker Switch plate - 4 switch, Carling Brand. (.82 x 1.5 rectangle switch).